Resource efficiency, including cleaner production and energy efficiency (CP/EE), is an important strategy for developing countries to grow their economies in a sustainable manner. However, informational, technical and economic barriers often limit the implementation of such strategies in the private sector, particularly among smaller enterprises. Since the 1990s, international aid agencies, governments, banks and non-governmental organizations have supplied financial incentives to encourage enterprises to adopt resource efficient practices in Latin America. “Pathways to Cleaner Production in the Americas” (PCPA) was a 3-year multinational project focused on promoting cleaner production practices in micro, small and medium size enterprises (MSMEs) through collaboration with academia. In this paper, we examine the availability and utilization of different types of financing instruments for CP/EE in MSMEs in Central America. We survey nineteen programs across five countries to examine how effectively these instruments are utilized, barriers that hinder their adoption, and best practices for increasing their uptake. We also incorporate the experience of 39 MSMEs that participated in PCPA, with respect to their demand for CP/EE and external financing options. We find a mismatch between MSMEs’ demands and expectations with the supply and interest of financing programs, leading to the underutilization of the funds. The online version of this article ( https://doi.org/10.1007/s10098-017-1452-8) contains supplementary material, which is available to authorized users. 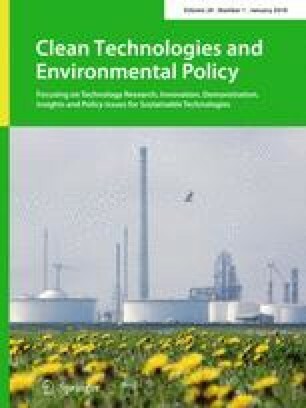 The authors acknowledge the support of the “Pathways to Cleaner Production in the Americas” project funded by the US Department of State under the Pathways to Prosperity in the Americas initiative, through Higher Education for Development (HED), for conducting this research. We thank our in-country collaborators Ana Lorena Arias of Costa Rica Institute of Technology, Akira Hidalgo Segura of the National Cleaner Production Center of Costa Rica, Yolanda Salazar de Tobar of the National Cleaner Production Center of El Salvador, John Belfield of Rafael Landivar University in Guatemala, Tulio Martinez Green and Sonia Panchame of National Autonomous University of Honduras, Claudia Díaz Yanes of the National Cleaner Production Center of Honduras, and Lesbia Rodriguez and Maya Uriarte of the Nicaraguan National Cleaner Production Center, for their assistance in gathering information about financing programs in their respective countries, and Mayuri Kadam for her assistance with text analysis. The authors are solely responsible for the contents of the article.